Or maybe overly geeky news. Which do you think? Lots of Runaway Bride pictures. Shredder won’t be in the next Teenage Mutant Ninja Turtles movie. Like you care. Fancy meeting Simon Pegg, Nick Frost and Edgar Wright? They’re on tour at HMV. The Police are reuniting for the Grammys. Genre pilot pick-ups, including the US version of Life on Mars. Futurama: Those new Comedy Central episodes are going to be re-edits of some Futurama movies coming to DVD. Heroes: Masses of spoilers from E!’s Kristin. Heroes: Malcolm McDowell might have a part. Prison Break: What sort of things will happen in season three. Studio 60: There’s going to be a flashback episode soon. It’s all just so exciting. And Spartan. 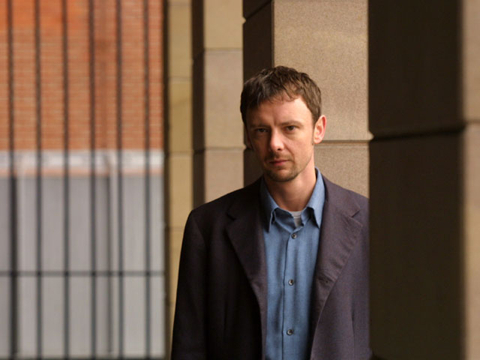 John Simm might be appearing as… Go, on, spoil yourself, remembering it’s The Sun. There’s also a potential spoiler about Derek Jacobi’s character, the Professor. A brief, slightly spoilery interview with Freema Agyeman. Handmade Films is to do a biopic of SAS founder David Stirling. Miss the Celebrity Big Brother evictions? You can watch the final three at YouTube: Dirk, Jermaine and Shilpa. Isn’t it nice the final three were all non-Brits? Channel 4 is to have a season/year of environmental programming. 24: More spoilers and Kiefer changes his story about why daddy Donald isn’t his 24 daddy. Green Wing writer Victoria Pile’s new project has been picked up by ABC. Heroes: George Takei talks about doing his first Japanese-language role. Everyone likes a good meme, right? It’s one of the joys of the “blogosphere”. Of course, blogs are Web 2.0 and tele is Web 0.0, so there’s no way really to interact with a meme that’s on television. 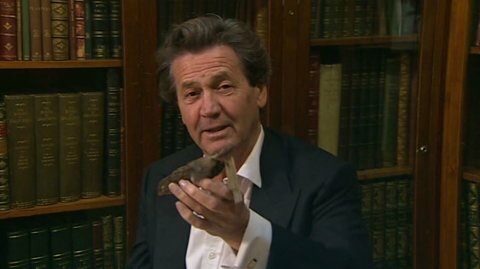 Yet that’s what Melvyn Bragg has decided to do: create a meme. What are the 12 most important books that changed the world as we know it? There are ways to make family reunions bearable. People will watch anything. Judging by the ratings, racism is entertainment. Sometimes, the plots of even the best shows make absolutely no sense. A week is a long, long time when a show is really, really enjoyable. I want the next episode now! Also, Christopher Eccleston will never be cast as anything except an angry northerner, no matter where in the world he’s employed. Give a show six months’ rest and when it comes back, sometimes, just sometimes, it will be better than when it went away. Even when a plot has been done well by countless other TV shows, it’s still possible to do it again and still make it good, creepy and interesting. Also, actors who have been in shows for six years will remember how to act when they’re given something new to do for a change. Things we already knew: Clark is an idiot – go with Chloe, you nutter. If you’re the hero of a TV show, you can act like a stalker and the girl will still want you by the end of the episode. It’s also really easy to learn Mandarin Chinese from a phrase book. If you’re doing a “monster of the week” show, don’t bring the same monster back – twice – unless you can actually make it interesting. If you piss off sitcom producers, they can excise you from the titles and publicity material faster than Stalin. Among the season’s highlights are Diary of a Young Man, Edge of Darkness, and an episode of Fall of Eagles. Go watch Edge of Darkness if you’ve never seen it (shame on you! It’s the drama of the 80s); I’ll only be along for the interview on the 6th since everything else clashes with something else I’m already booked in for. Drat.